Electro WOW ► Electronic Music News: Want To Party Without Going Out? Have A Disco In Your Bath! Want To Party Without Going Out? Have A Disco In Your Bath! 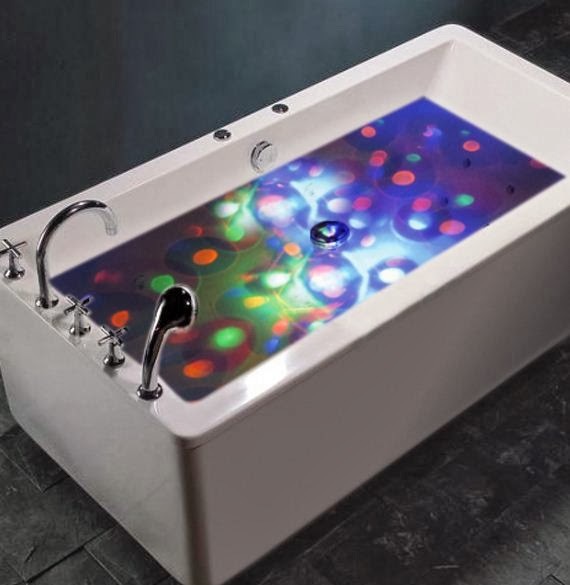 The Underwater Disco Lightshow is a floating device that projects a riot of colours on to the bottom and sides of the bathtub. It features a button that changes the patterns (some subdued, some dynamic), so you can alter the mood in an instant. 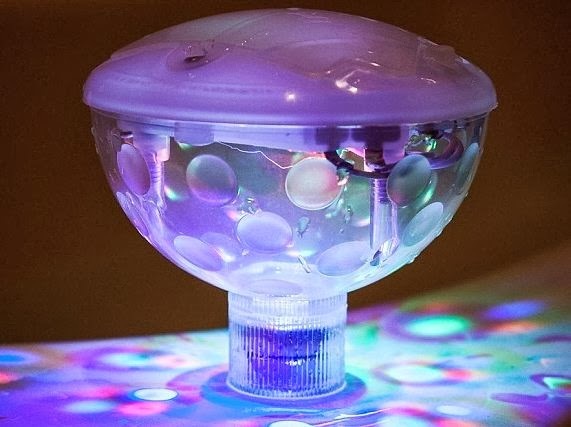 The gizmo's light sequences and pulsating effects are distorted by the water in the tub. It's battery-operated and waterproof, so with some music on in the background, you could almost feel like you're in a nightclub!